Are Standard Serpentine Drafts For Fantasy Football Fair To Everyone? Does the last few players in the first round really get to catch up by picking first in the second round? In fantasy football, different players have different projected values that correspond to points that they are likely to earn throughout the season. The person who picks first in the draft gets to choose the player they want from the pool of all players, second pick gets to choose the player they want from the pool of all players excluding the first pick's player, and so on. This obviously gives the owner of the first pick an advantage. A common way to minimize this advantage is to use a serpentine draft. In this draft, the player that picks first in round one picks last in round two, first in round three, last in round four, and so on. The player that picks second in round one picks second to last in round two, second in round three, and so on. Giving this a brief amount of thought, you can spot the obvious issue that the serpentine draft is only balanced if player value declines linearly with pick number. Is this the case? It seems unlikely as you'd expect the top one or two players at each position to be significantly more valuable than the rest. There's no obvious (to me at least) function to use to model player value vs pick. Anything that decays seems reasonable. I'd guess that 'C1 - C2*ln(pick)' and 'C/(pick^C2))' where C1 and C2 are constants are reasonable models. To check, I took a variety of projections from ESPN. 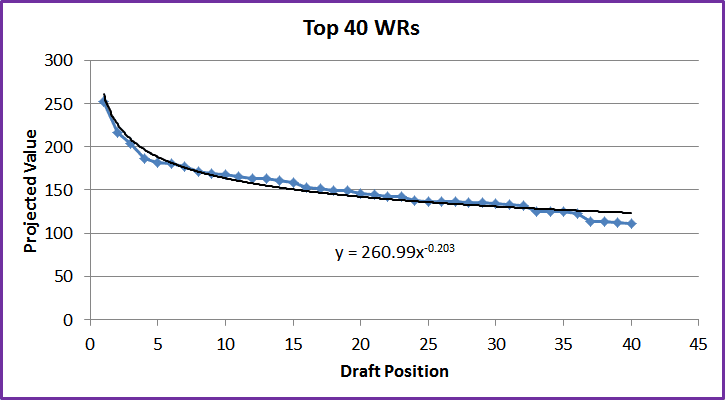 One example is that taking the top 40 WRs gives me 'value = 261/(pick^0.2)' as a reasonable fit. 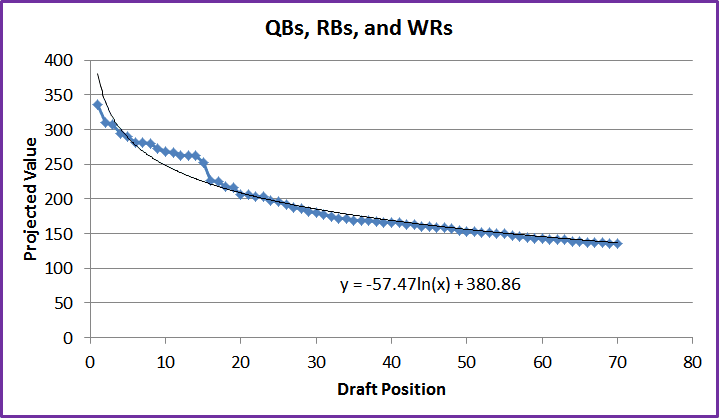 Combining the top 14 QBs, 28 WRs, and 28 RBs gives me 'value = 381 - 57*ln(x) as a reasonable fit. 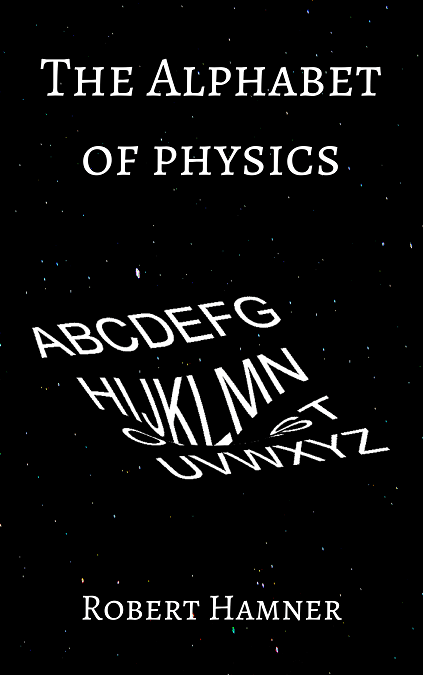 The specific constants don't really matter for this so I'll choose nice values. Note that the 168 comes in because I'm using 12 players with 14 draft rounds and this keeps the numbers positive. To figure out a pick's value, just plug it into the equation. To figure out a pick's % value, divide the pick's value by the sum of all 168 values. So in both models, the first pick has a very big advantage. Given the restriction that each player gets one pick per round, can we do better? If so, how much? Neither of these ended up being perfect, but both are better than the naive serpentine. What if you drop the concept of rounds? Can you make this completely fair? The code for this got a bit tricky and blew up because there's a huge number of permutations and a large number of them have the same projected fairness. The idea for this one is similar to the above one except that you don't have to wait for the next round. Each person could draft all 12 slots in round 3 if that made sense for this (it doesn't). Many of the later picks are very close so tiny changes in the model change the results, but to give an idea of what solutions look like, I've posted a run from each. How fair do these end up being? Both models: Every person ends up with 8.3% of the value (values identical down to 0.01%). It felt important to do though because I drafted in the bottom half of my league and need an excuse for when I lose.